Closest to home, the latest space bill passed by Congress (yes, Virginia, Congress can pass legislation) will enable American aerospace firms to get serious about asteroid mining. See "US Senate Passes Compromise Commercial Space Bill." Chances are that asteroid mining will first happen (if it happens) on near-Earth objects. So, moving out just slightly past those (hoped for) early asteroid visits, let's talk about Mars. A co-founder of the Planetary Society recently opined -- provocatively, but not implausibly -- that Mars might be as far as humans ever colonize: "Oh the Places We Won't Go: Humans Will Settle Mars, and Nowhere Else [Excerpt]." I can't prove Louis Friedman wrong, but I hope this prediction is an instance of Clarke's First Law: "When a distinguished but elderly scientist states that something is possible, he is almost certainly right. When he states that something is impossible, he is very probably wrong." Farther afield, "Astronomers discover new distant object in the solar system." 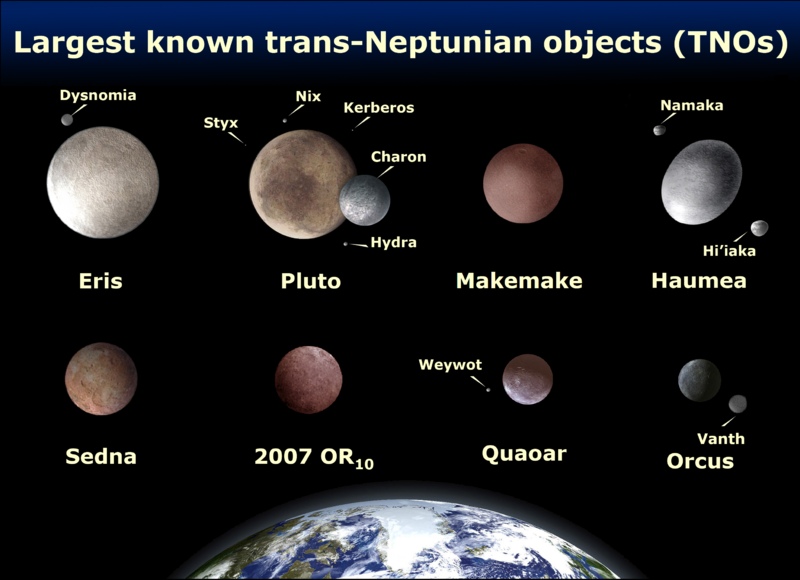 That "object" appears to be a dwarf planet deep within the Kuiper Belt, far beyond any Solar System body previously known. V774101, hopefully soon to get a more mnemonic name, is about half the size (in diameter) of Pluto, and orbits at about three times Pluto's distance from the Sun. Speaking of Pluto, do you recall the brouhaha over whether it rated as a planet? In the era of discovering exoplanets more or less daily, have you ever wondered how sure astronomers can be that distantly sensed bodies -- few of which have been imaged as even a single pixel -- qualify as, well, planets? Me, too. I was pleased, therefore, to encounter "Scientists Redefine 'Planet' To Include Exoplanets - And It Works Beautifully." Viewed from ~450 LY away! Speaking of exoplanets, how's this for exciting: "Scientists caught a new planet forming for the first time ever." And with that out-of-this-world news, I'm calling it a day/post.